UFOs near volcanoes are commonly seen on webcams. Also the Colima volcano in Mexico, located approximately 300 miles west of Mexico City is a well known UFO hotspot. 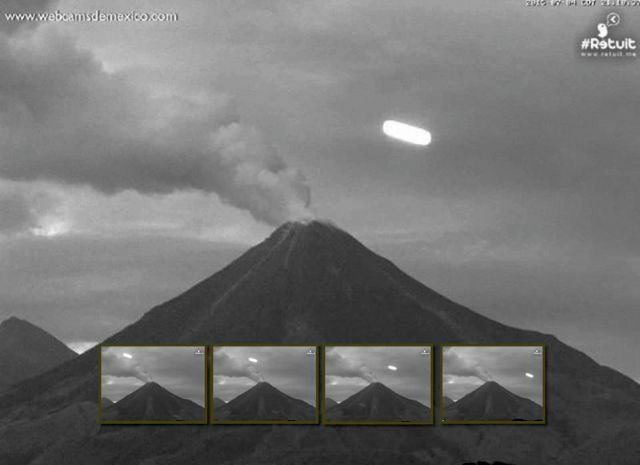 Once again the webcam watching the Colima volcano captured a UFO on July 4, 2015 between the 21:10:30 and 21:10:50 hours. The next time-lapse video shows the rare cigar-shaped object or light being hovering over the volcano.